Home » Win a 6-month Subscription to Junior Explorers for Shark Week! 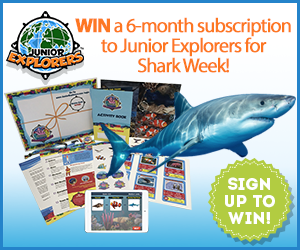 Win a 6-month Subscription to Junior Explorers for Shark Week! To celebrate sharks, Junior Explorers is offering one lucky winner a free 6-month subscription to their program for kids – that’s a $105 value! This giveaway includes Mission Great Barrier Reef, which features the black-tipped reef shark and other amazing marine life. Junior Explorers is a subscription program that teaches kids, ages 5-12, about wildlife and nature. Every month, kids go on a new mission to a new ecosystem to learn about the animals that live there. Kids receive a monthly kit in the mail which contains fact sheets and cool collectibles that introduce them to the month’s ecosystem. A secret code inside the kit unlocks the digital Mission Center where kids learn, play games and solve a nature mystery online. Enter today for your chance toWIN! 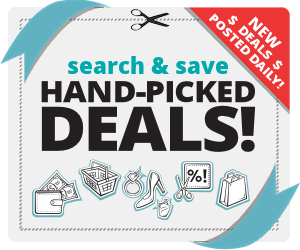 Get Prime Now – Be Ready for Amazon Prime Day! 100K Prime Music Sweep!